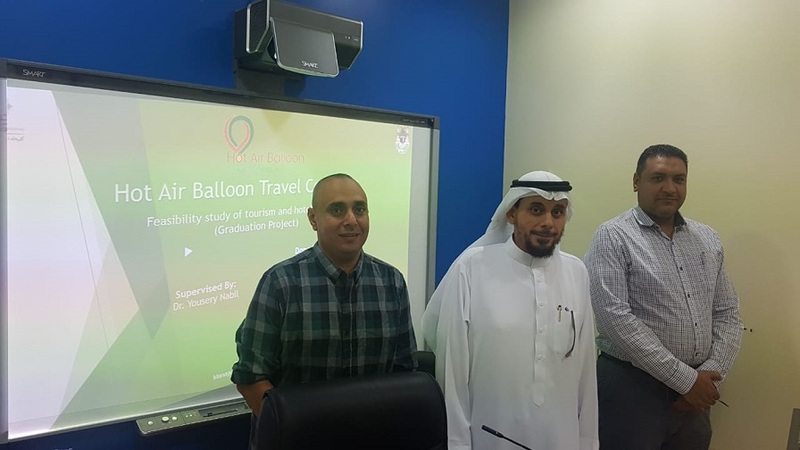 His Excellency the Dean of the College of Business Administration, Prof. Ihsan Al-Mu`taz, expressed his support for the outstanding student graduation projects while discussing the graduation project course (1) of the Department of Tourism and Hospitality Management where he was briefed about the pioneering and innovative projects of this year compared to previous years. A hotel providing smart interactive services using robots and various techniques. Websites and applications for safari tours and cultural trips inside the Kingdom. A restaurant inspired by the spirit of the historic Okaz market and serving Saudi cuisine. 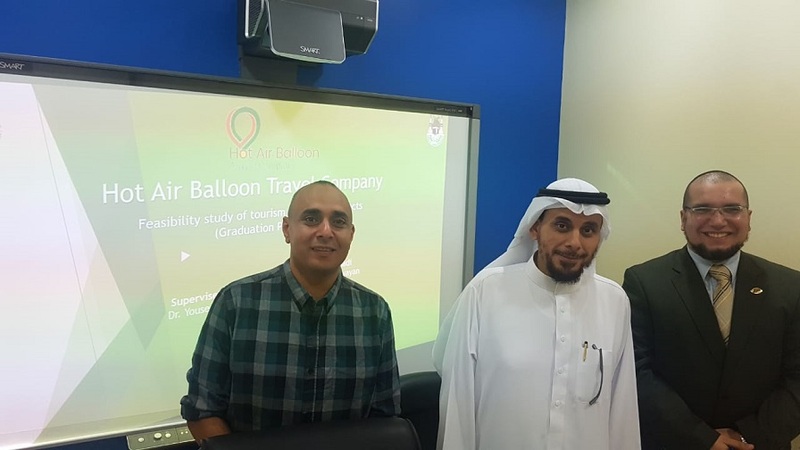 The dean extended his thanks to the students and listened to a presentation by the course lecturer, Dr. Yusri Nabil, on the application of the creative thinking methodologies in the first and second parts of the course. He also spoke to students about their ideas and projects. He attended part of the scientific discussions with the projects discussion panel that included Dr. Sultan Al-Harbi, Dr. Hatim Radwan, Dr. Muhammad Al-Daif, Dr. Hani Husni, Dr. Yosri Nabil, and Ms. Alaa Fitaihi. Wrapping up the discussions, the dean stressed the importance of publishing the outstanding graduation projects ideas on the college website to support and market students' ideas and efforts. The students extended their thanks and appreciation to the dean for his support and honorable presence at this event.